So you’ve been thinking about flying. The first step in this exciting journey is getting your pilot license. Here’s some information to help you get started. First off, what is a pilot’s license? A pilot’s license, or a private pilot certificate, is one of the first steps in being certified to fly an aircraft. It’s for personal use only (not for pay), and it requires a minimum of 40 hours of flight training. Where can I fly, and in what conditions? Pilots with a private pilot license can fly in visual conditions, and can fly any distance. How many passengers can I transport? There are no restrictions on how many people you can fly in a single flight with a private pilot’s license. You’ll just have to make sure that the aircraft you’re flying can accommodate the number of passengers, and be able to calculate the weight balance of the aircraft. To earn a pilot license, you’ll need to learn the basic principles of flight, fundamental flight maneuvers, preflight / takeoff / landing procedures, weight and balance calculations, and other essential aviation skills. Where can I earn my pilot’s license? 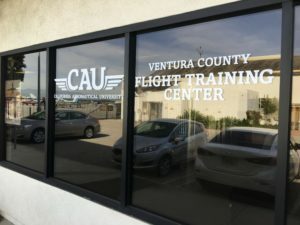 The Ventura County Flight Training Center (VCFTC) is a great local flight school at Oxnard Airport. 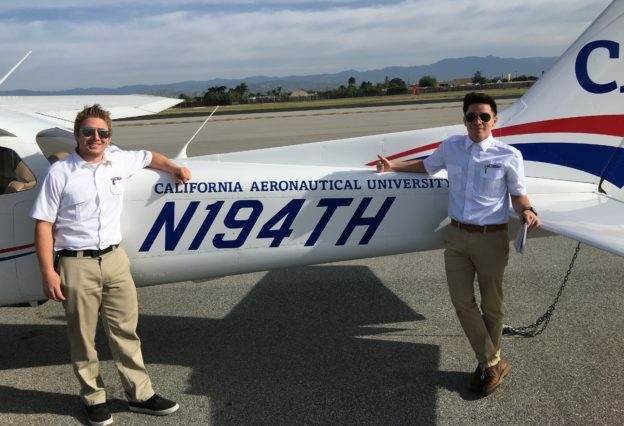 You can earn your private pilot certificate (PPL) with professional, career-minded flight instructors from California Aeronautical University. If this sounds like the thrill you’re looking for, schedule your introductory flight training session with VCFTC today. This entry was posted in Uncategorized and tagged Aviation, Flying, Pilot License, PPL, Private Pilot Certificate on February 17, 2017 by Monica Raymond.